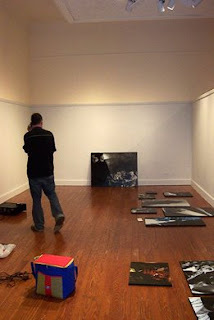 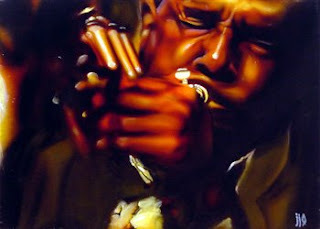 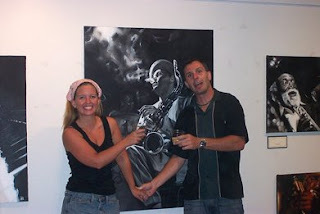 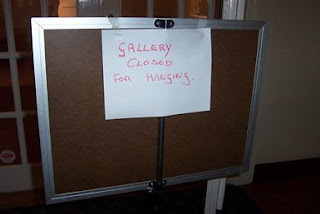 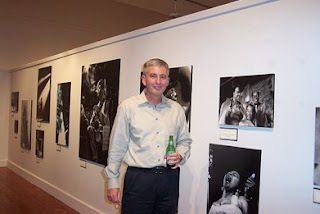 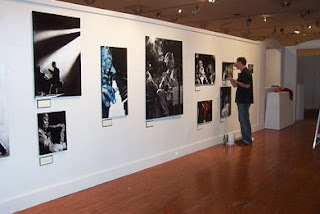 Once the jazz paintings were done (see previous posts) we got to work hanging the show. 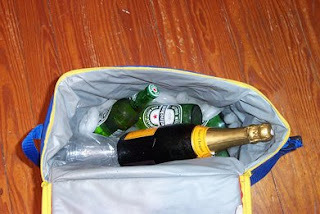 We set the lighting, brought in some turntables and vinyl (gotta have the wraspy sounds of vinyl for a show on jazz) and plenty of Heineken and champagne to get us through the night. 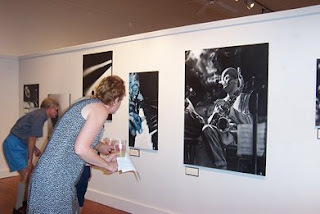 Each painting had a great quotes about jazz next to it and I had vinyl lettering made for one of the walls saying "Man, if you have to ask wat it is, you'll never know." 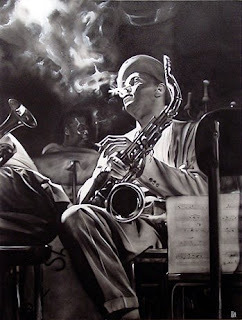 -- Louis Armstron on Jazz. 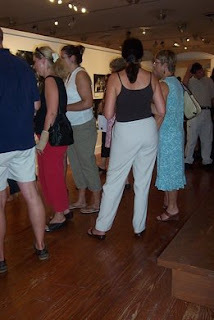 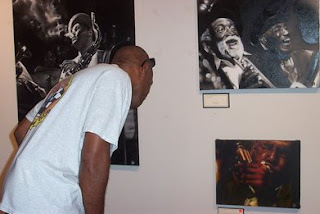 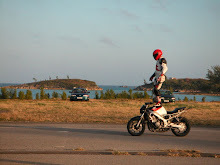 Below are some paintings from a solo show I exhibited at the Bermuda National Gallery. 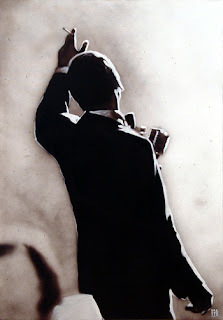 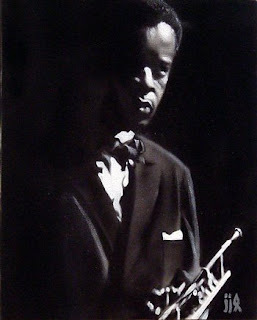 With the permission of talented jazz photgrapher Herman Leonard, I used his stunning photos as reference for these acrylic on canvas paintings. 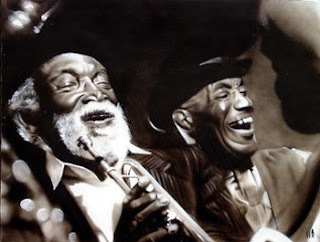 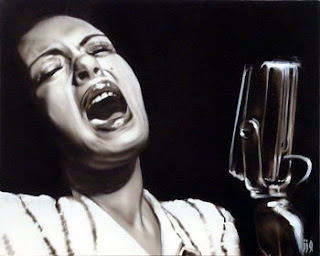 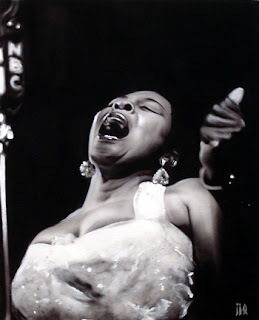 Dinah Washington, 24" x 36"
Billie Holiday, 16" x 22"
Musicians Laughing 18" x 24"